Middle-class Americans, stuck in Obamacare’s insurance “markets,” are desperate for relief from skyrocketing health insurance costs. Innovative state governors and legislators, as The Heritage Foundation has urged, need Washington’s help to provide it. Relief cannot come quickly enough. For 2019, insurance executives are saying that individual market premiums could increase by 30 percent nationwide. In Maryland, for example, insurers are requesting state regulators to approve rate increases ranging from 18.5 to as much as 91.4 percent, though final rates are sure to be lower. This year, enrollees were hit with a 34 percent increase for the standard “silver plans” in the individual markets nationwide, with deductibles averaging over $4,000 for single persons and more than $8,000 for families. The recent rate hikes continue a historical pattern. In 2014, the first full year of Obamacare’s implementation, rate shocks hit millions of Americans in the individual markets, in many cases more than doubling premiums. From 2013 to 2017, premiums increased by 105 percent. Obamacare’s excessive federal regulations and subsidy structure have directly contributed to these explosive costs. True, generous taxpayer subsidies insulate low-income persons from the annual explosions in high costs, but taxpayer subsidies do not address the root causes of rising costs—they just paper them over, at taxpayer expense. For millions of middle-class Americans stuck in Obamacare’s individual markets, the coverage is virtually useless, and there is growing evidence that more and more people are skipping medical appointments simply because they cannot afford them. In other words, under Obamacare, “junk” insurance is the new normal. None of this was supposed to happen. When President Barack Obama was campaigning hard to enact the “Crown Jewel” of his domestic agenda, he repeatedly said that his reform proposal would result in a decline of health insurance costs for the “typical family” by $2,500 annually. In fact, the opposite occurred. Short of repealing and replacing the Obamacare regulatory regime that contributes directly to artificially high health insurance costs in state markets, states can apply for Section 1332 waivers, available under current law, that exempt states from various Obamacare rules. Such waivers would allow states to redeploy existing federal funding and redesign and manage their own health reinsurance programs, to offset the costs of high-risk enrollees, and thus stabilize their own health insurance markets. For example, Alaska secured a 1332 waiver that enabled officials to redeploy federal subsidies and re-channel those funds into a risk pool for high-cost enrollees and thus stabilize its market. The result: Alaska reduced individual market premiums by a stunning 25 percent. Likewise, Gov. Scott Walker of Wisconsin signed legislation to apply for a waiver to create a reinsurance program that would cover 80 percent of high-cost claims. Under the waiver, the state would use federal dollars to cover 75 percent of the cost and state taxpayers would fund the remainder. Wisconsin officials project a 13 percent premium reduction in 2019 and 12 percent in 2020. State officials using these waivers from current law can stabilize their markets, reduce premiums, and provide relief to individuals and families currently entrapped in severely damaged individual and small group health insurance markets. State health insurance markets are radically diverse, and health care costs often vary sharply from state to state. Costs reflect the demographic profile of state populations, such as the ratio of younger to older enrollees, and the proportion of the healthy compared to unhealthy subscribers. They also reflect the size and competitiveness of their hospital systems, the prevailing unit costs of medical goods and services, the reliance on advanced medical technologies, and the prevailing medical practice patterns, which often differ greatly from state to state. Finally, health care costs and insurance premiums are also dependent upon the competitiveness of state health insurance markets, as well as the extent to which Medicare and Medicaid affect those markets, as well as the penetration of employer-sponsored health insurance. 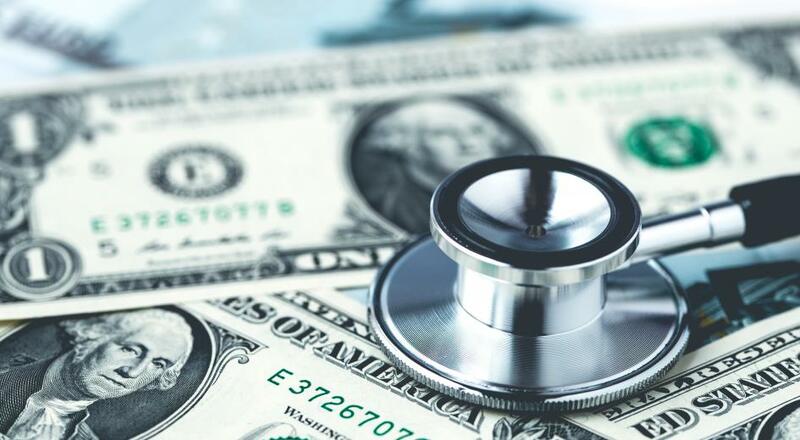 Federal waivers and reinsurance initiatives are, however, only a partial answer to the multi-faceted crises in the various state health insurance markets. Under Obamacare, the elected representatives of the people of the states are still largely hamstrung in their efforts to secure market innovations, inasmuch as they still are little more than supplicants for federal regulatory relief. This wide variety of circumstances is no prescription for centralized, standardized federal regulation and control. Congress should heed the consensus advice of a wide range of conservative health policy analysts and restore the primacy of state authority over health insurance markets. Such a reform would be the first step in the larger task of expanding both individual choice and control over dollars and decisions in badly broken health care markets. With a laser-like focus on making coverage more affordable, Congress should restore to the states their traditional authority to set the rules and regulations that they think best, given their particular circumstances, to reduce insurance costs. States should be free to authorize new and different health insurance benefit designs, risk pooling arrangements for enrollees with high costs, and pursue innovations in care delivery—without waiting for a permission slip from Washington. Congress should also ensure that every state resident, including those eligible for public programs, have the right to enroll in a private plan, if and only if they wish to do so. Persons enrolled in public plans should be able to redirect the money used for their government coverage to fund the private health plan of their choice. No government official should force poor persons to stay in a government health plan if they want something better, including better access to physicians, specialists, and the chance to secure superior medical outcomes. Restoration of state authority over health insurance markets, however, is only a first step in a much bigger agenda for comprehensive health care reform. Future actions should focus on breaking down barriers to competition among providers, while reforming the unfair federal tax treatment of health insurance and providing middle-class Americans individual tax relief for the purchase of their coverage. These reforms would expand personal choice and portability of coverage and restrain the growth in health care costs. In the meantime, state legislators would be directly accountable to the people they serve for the health care policies they adopt, including their health insurance rules, their ability to control costs, and their progress in expanding coverage. State officials would no longer be able to blame Democrats or Republicans in Washington for the spreading rash of nationwide health policy failures. Better yet, they would be able to take full credit for their health policy successes. That is the right reward for good government.